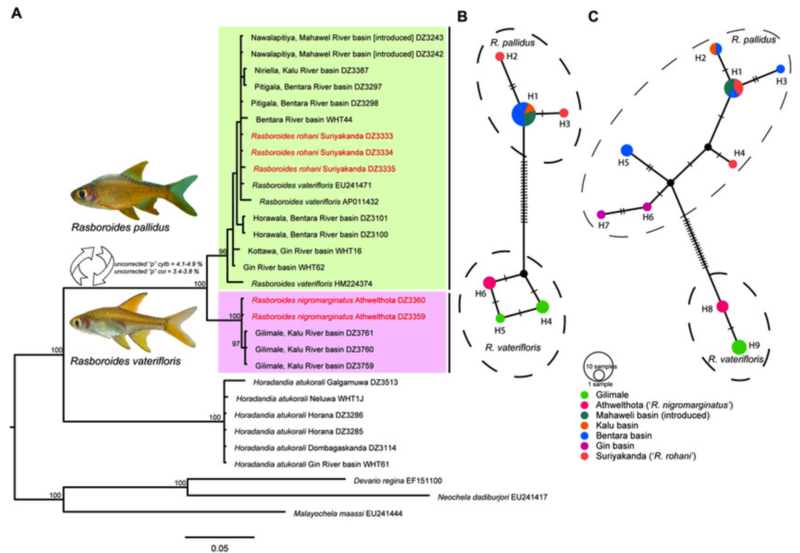 Using an integrative taxonomic approach, using samples from throughout their geographic range, we show that there is only a single Amblypharyngodon species in Sri Lanka- Amblypharyngodon grandisquamis Jordan & Starks, 1917. It is a species endemic to Sri Lanka, distributed across the lowlands of both of the island’s main climatic zones. 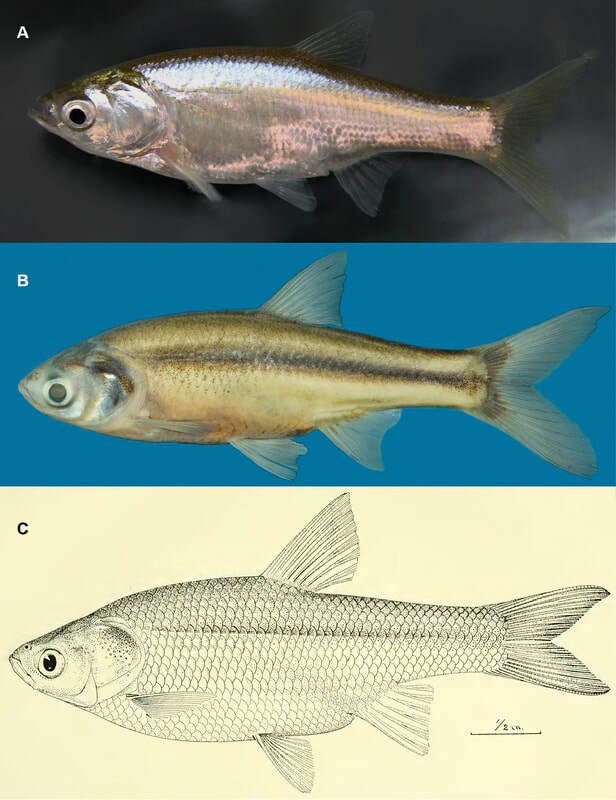 It is distinguished from all other species of Amblypharyngodon, including the three species recorded from peninsular India (A. mola, A. microlepis, and A. melettinus), by a suite of characters that includes a body depth of 26.9–31.2% of the standard length (SL), 42–56 scales in the lateral series (of which usually 8–16 are pored), 20–24 circumpeduncular scales, 14–17 scale rows between the origins of the dorsal and pelvic fins, a dorsal-fin height of 21.1–27.6% SL, 18–19 caudal vertebrae and an eye diameter of 22.7–30.5% of the head length. 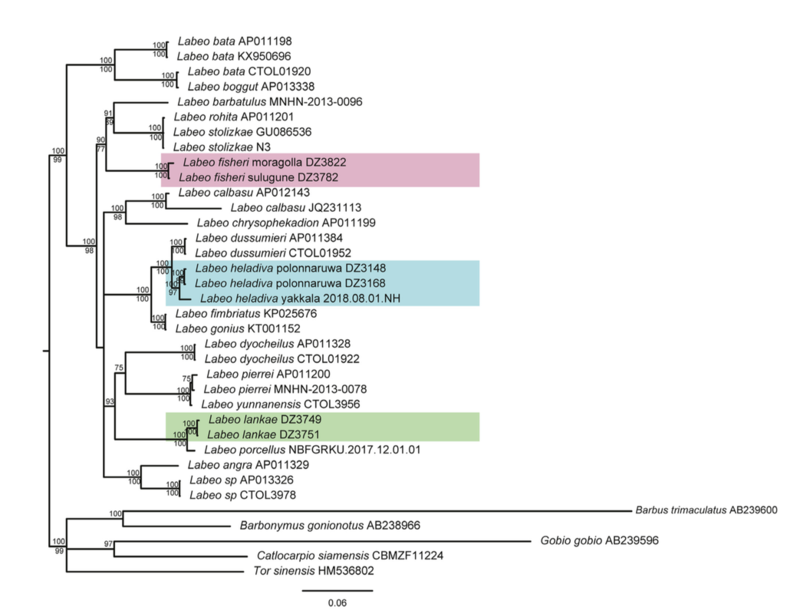 Amblypharyngodon grandisquamis differs from A. melettinus and A. mola by uncorrected pairwise genetic distances of more than 9% and 6%, respectively, for the mitochondrial cytochrome oxidase subunit 1 (COI) gene. 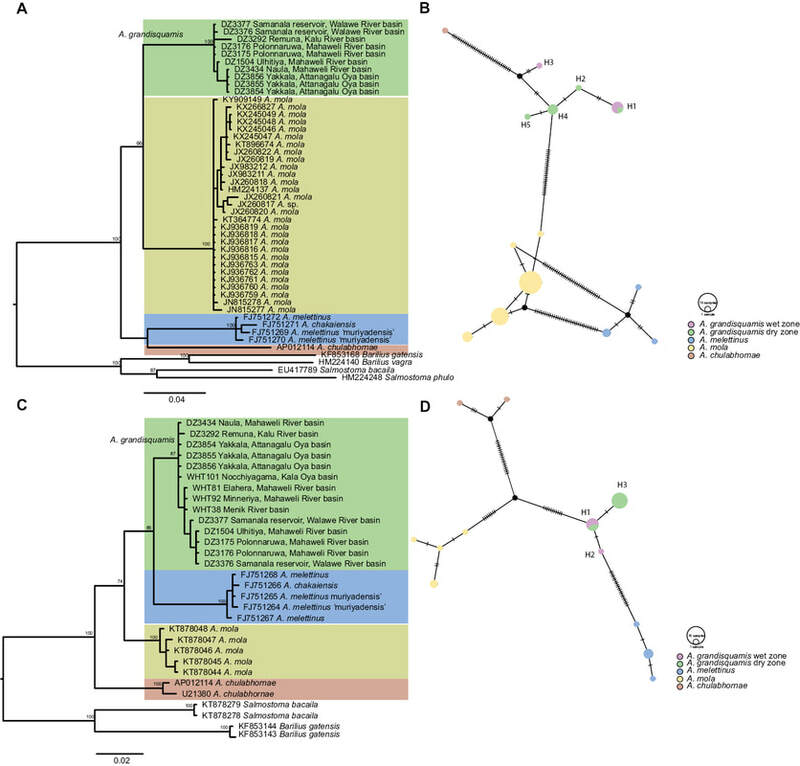 This study presents a systematic revision of South Asian members of the taxonomically challenging genus Microhyla Tschudi, 1838. 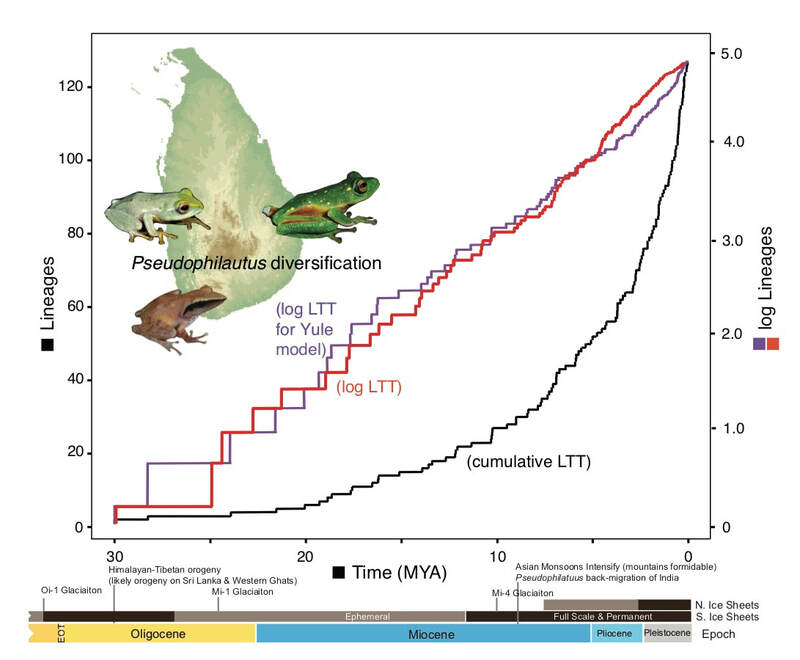 Species relationships and diagnostic characters are determined by integrating molecular, morphological, and acoustic approaches, through which we also recognize six groups of closely related species. In addition, a new species from the southern Western Ghats of India is formally described as Microhyla darreli sp. nov. 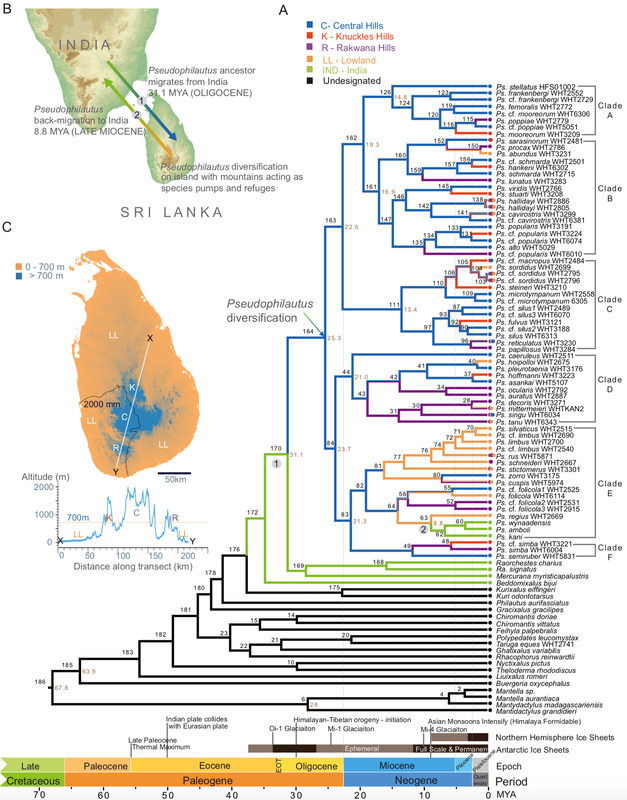 Species accounts of all the 16 recognized members from South Asia include current taxonomic status, metric and meristic characters, divergence in mitochondrial DNA, phylogenetic relationships, acoustic characters, re- vised geographical distributions, and natural history notes. 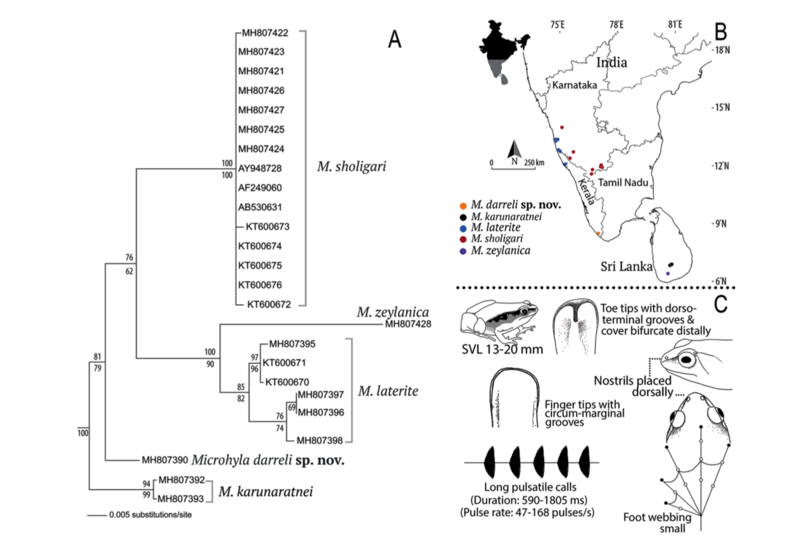 Molecular and morphological relationships of three poorly known members — M. chakrapanii, M. karunaratnei, and M. zeylanica M. berdmorei and another potential new species close to M. heymonsi in India corrected. 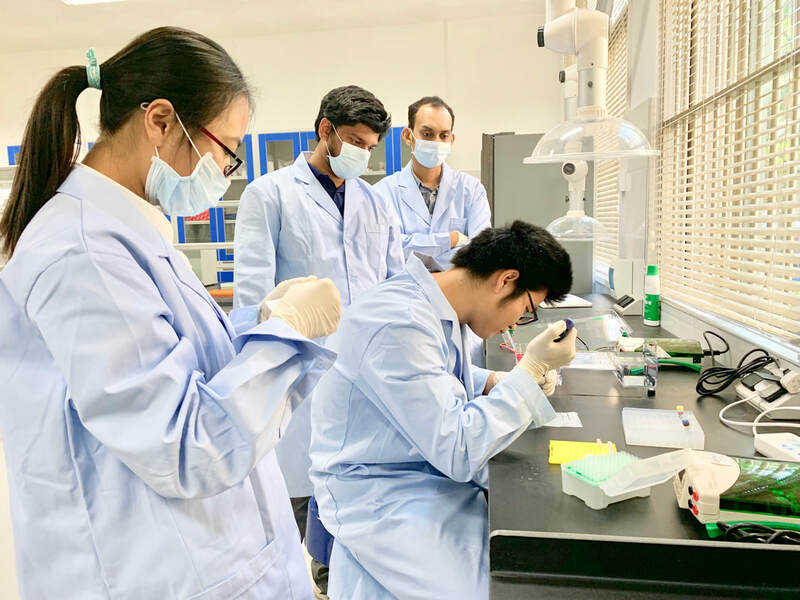 For comparative purposes, molecular, morphological, and acoustic relationships are also discussed for eight closely related East and Southeast Asian species. 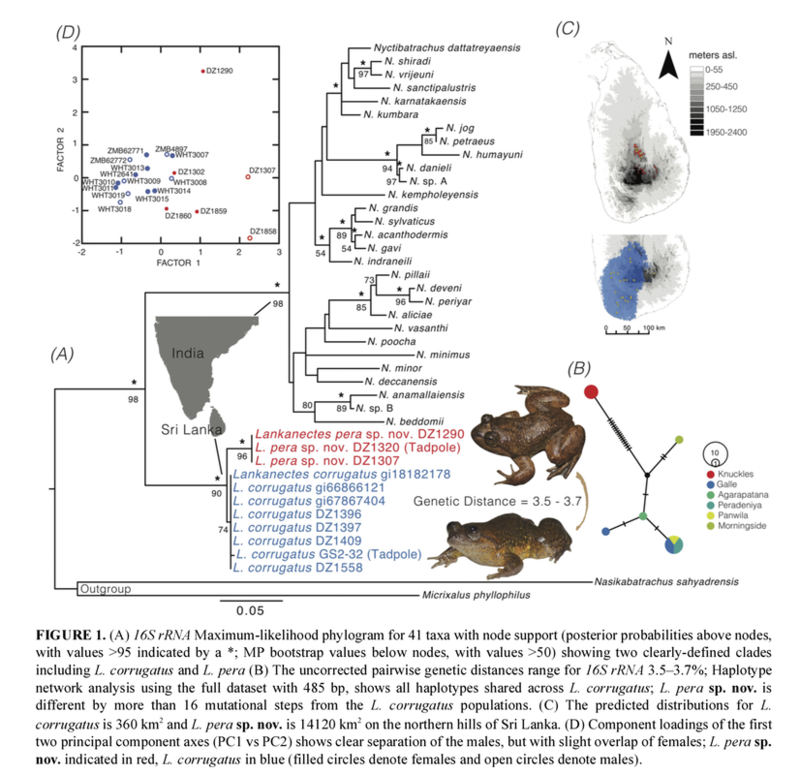 Consequently, insights from this study will facilitate a much-needed comprehensive revision of the Pan-Asian frog genus Microhyla. •A stately pace of lineage accumulation despite orogeny and climate change. 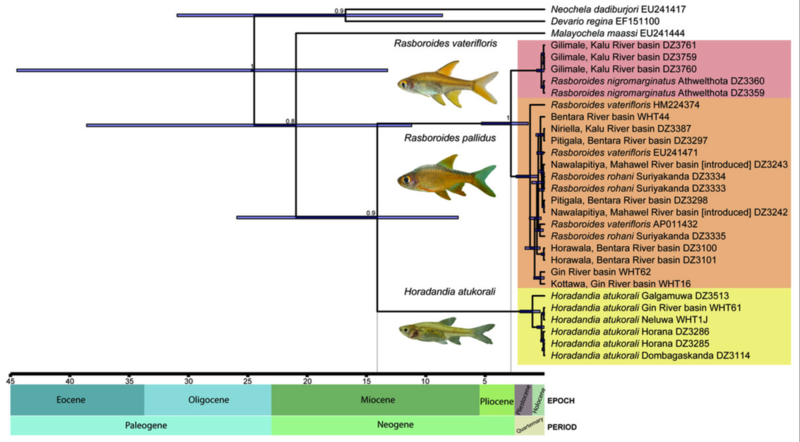 •Assemblages in most regions comprise of species arising from diverse clades. 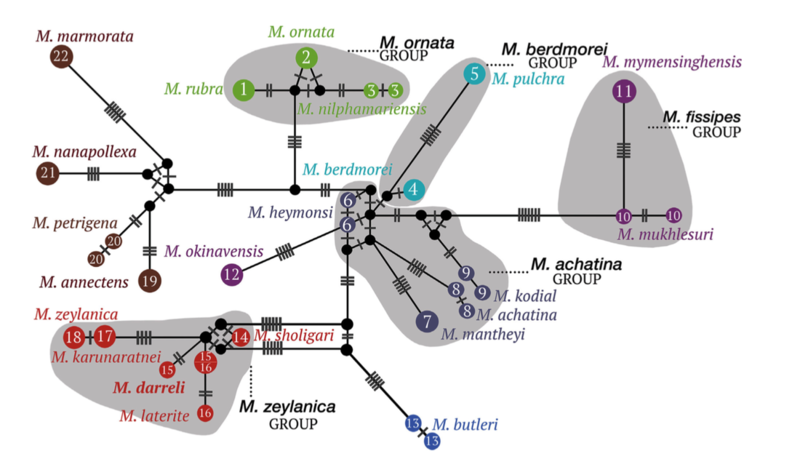 •MRCA of a back-migrating clade to India (8.8 MYA), reconstructs as a lowland form. •Island’s mountains serve as species pumps and refuges for Pseudophilautus evolution. 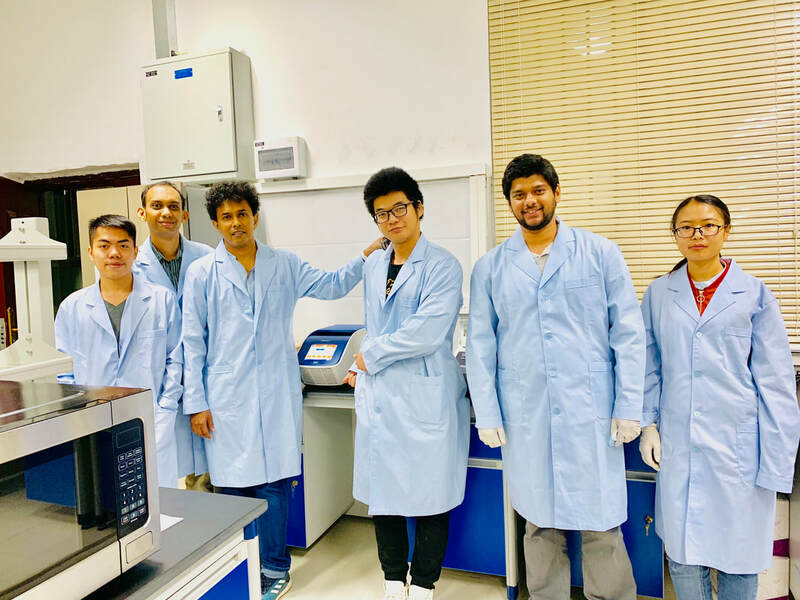 Three new students joined our lab group this semester: Mr. Gajaba Ellepola, a lecturer from the University of Peradeniya, Sri Lanka, who is pursuing his Ph.D. work, Miss Sun Dan, a Ph.D. student from Ji Lin Province in China and Mr. Mao Ting Ru, a masters student from Nanning, China.